Use These Deceptive 'Advanced' SEO Techniques at Your Own Risk! Marketing is chuck full of humbling teachable moments. One of the most important concepts is the importance of humility. When Lady Gaga spoke at Google she came off as being totally humble. I don't care for her music, but have a lot more respect for that sort of marketing than the "rapper who has more money than Bernake" sort of approach. A lot of well known online marketers are the exact opposite of Lady Gaga's approach: anything to be heard & and I am the best, etc. Some people are into that approach, while others find it distasteful. Of course in any market there will be competition with winners and losers as SEO is a zero sum game. But some folks work to build value & monetize, while others aim to exploit & scam. Because there are eploiter dirtbags working the market, you have to pay attention to what the market is saying about your stuff in real time. Even if you pour 20 hours into creating something that is useful, relevant, engaging, interesting, etc. some people will think it is spam just because it uses a format that spammers have exploited. Notice how in spite of our collateral damage piece being fairly well received across the web some spots that referenced it immediately raised the "spam" concern simply because it is an infographic! Part of the reason you need to track viral stuff in real-time is because people are tuned to think that anything in online marketing that is successful has some layer of deception to it. In spite of how many marketers love to wear the white hat label, the truth is that almost anyone who is profitable operates somewhere in the gray area. 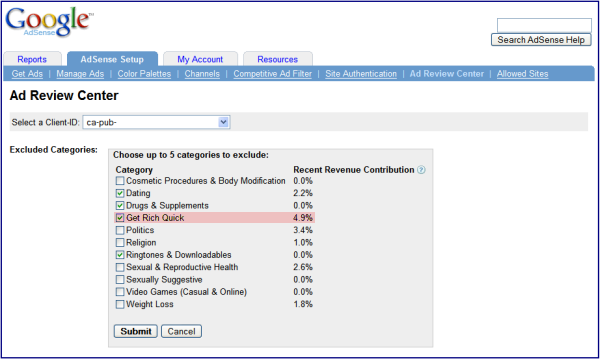 Google has something like $40 billion in the bank, and yet they still have an AdSense category for "get rich quick." They proudly claim how they took down the get rich quick scammers that were trading on the Google brand, but they still have an AdSense category for "get rich quick." The problem I have with those who love the white hat label is that many people who claim to adhere to algorithmic best practices are often willing to crap on real people to get ahead. Jason Calacanis claimed to be white hat precisely because he was aware of how dirty and exploitative his Mahalo junk was. You can't really get away with flagrant spamming if you call it what it actually is, so you have to preach righteous virtues while doing it. That "scammer exploiting a loophole" approach can work for your thin affiliate site that isn't tied to your name & brand, but if you are using that sort of stuff on your client projects or on your own main brand site you build contempt in the marketplace. Which is precisely why so many SEOs were happy to see Mahalo get torched in the content farm update. The recent "advanced" link building conference brought about 2 teachable moments on that front. How to Breed Hate & Animosity in Your Marketplace! Generally I felt that suggesting that post was sorta a smack in the face. It was like an ad inside an ad inside an ad. Ad for seminar + ad for your seo services + laundry list of links to client sites. He responded with how much of a fan he was of mine & that if he knew of anything cool on the news front down the road he would try to help us break it & such. At the conference he highlighted his "appear authentic, but be driven by a script" type of approach. In other words, where a person who is truly ahead of the market, and does something to create a competitive advantage it must be black hat spam and you should complained to Google to get it torched. Then years later when the people who claimed the technique was spam do the same damn thing it suddenly becomes clean and innovative (cutting edge advanced stuff even). Then they want the person who was ahead of the curve to be a free conduit for spreading this trash! It is so bad that you couldn't even make this stuff up. Consider the brand damage they did to themselves & the bad karma they earned in the marketplace with the above stupidity. If they are willing to do that sort of stuff to their own brand, would you want them working on your brand? I wouldn't. Those who claim to be algorithmically white hat, but are fine with lying, being deceptive, failing to disclose conflicts, etc. are saying that they put the algorithm ahead of how they treat real human beings in their marketplace. It is fine to be exploitative if that is your approach, but be honest about it ... because it is dumb to do it in a way that causes damage to your brand. On the Virante about page it highlights that "Russ has assisted in the creation of new search marketing technologies. This includes the venerable LinkSleeve Spam Link Verification system, which currently blocks thousands of links spam messages across the web." Yet at the "advanced" link building conference he gave away software to help people spam the crap out of Reddit. Once the people on Reddit highlighted it he was quick to backpedal, stating: "I don't openly promote spamming. If you think creating highly viral content and submitting it to a social network to let them decide if it is good is spamming, then you have been seriously misled." Here is the deal though, if the goal of that sofware was to do ANYTHING other than spamming, then it would be promoted to the core audience (so it could reach more people) rather than hunting out old subreddits & spamming them up with links. There is nothing new or advanced about that link building "technique." It is just an extension of guestbook or comment spam. The above image links to a Vimeo video which highlights what Matthew Haughey thinks of the SEO industry after he found out someone was selling an info-product on how to spam up Metafilter by dropping links in old posts. Slapping the label "advanced" on old spam techniques makes them neither new nor advanced. The clock moves in one direction. Unfortunately it is not 2003 anymore. There are a bunch of exploitative douchebags that paint themselves as white hats while destroying the ecosystems we all must work in by undermining basic human decency principals & trust in the marketplace. I don't care if someone wants to be a spammer, but to do so and claim that you are white hat and ethical (and thus that others are somehow inferior) is garbage. The most important lesson in marketing is consistency. Make promises that you can consistently deliver on. Rappers are successful. So are folks like Thom Yorke. But they pick their markets & their approach and stick to it. Bouncing back and forth just makes a person look like a dishonest douchebag who stands for nothing. It's not standing for much, but least the rappers have their drugs, booze and hoes. What do these internet marketers stand for? I had a moment similar to yours in elementary school, a teacher called me humble and I didn't know what that meant (I was terrified that I did something wrong). Hilarious. I love all these ethical white hat linkbuilding stuff. How is it possible to claim white hat ethical linkbuilding status, if you are admitting to intervening to gather more links to a client site website? Gray whatever way you do it. Distilled's reputation management services should come in handy for this! Would really like to know what was going on in Will's head there. Did he really think he was going to pull a fast one on Aaron Wall? Haha. Jeez. You probably feel a little betrayed, sorry bro. Buying a do-follow link from a car enthusiast blog authored by a guy working through college= JAIL TIME! Wow, have to say I'm surprised! I'm very disappointed in Distilled. I've met Will and thought of him as a nice person, and genuine too. I wonder what that all says for SEOmoz since they are in bed together. In fact SEOmoz refers all of their client work to Distilled! To me, this entire debacle falls on SEOmoz too. 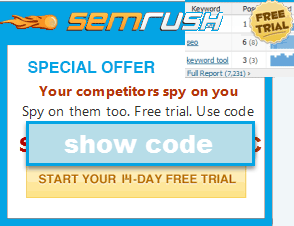 The competing SEO tool company could very well have been a referal from SEOmoz. And the whole "outing" thing to me is despicable. Bottom feeding. People that resort to that sort of stuff really show that they are not good SEOs and that they have to resort to crap like that in order to succeed.